Home » Online Exhibits » Penn People » Penn People A-Z » John Baxter Taylor, Jr.
John Baxter Taylor, Jr., was born on November 3, 1882, in Washington, D.C., the son of Sarah Thomas and John Baxter Taylor. After his family moved to Philadelphia, Taylor attended Central High School, where he was captain of the track team. After high school, while at Brown Preparatory School, young Taylor was a member of a team celebrated for not losing a race and for capturing the one-mile intercollegiate relay championship of the Penn relay games. Taylor’s association with Penn began when he entered the Wharton School in September 1903. He withdrew from Wharton at the end of his second year and shortly thereafter, in October 1905, enrolled in the School of Veterinary Medicine, graduating from this three-year program in 1908. During his student years at Penn, Taylor contributed significantly to Penn’s athletic standing. 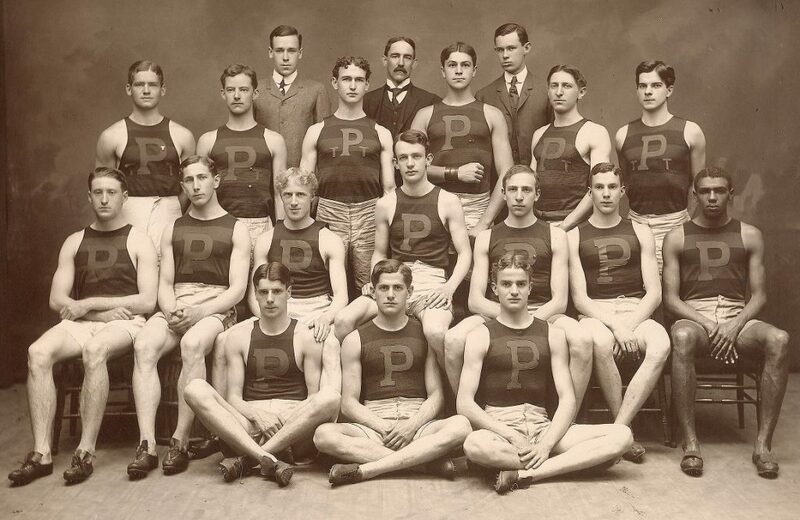 As a member of Penn’s 1903, 1904, 1905, 1907, and 1908 track teams, Taylor (along with Nathaniel John Cartmell and Guy Hastings) made Penn once again the champions on the track and field. Taylor’s stride measured 8 feet 6 inches, the longest of any runner yet known at that time. He was indisputably the best quarter-miler in the college world, establishing the world’s interscholastic record of 49.1 seconds for 440-yards in 1903 and setting a new record of 48.6 seconds for this event four years later. In 1907 he was also the indoor champion for 600 yards. Taylor was also gaining international fame — and Olympic gold. In the summer of 1904 he visited England and France, winning the majority of his races. 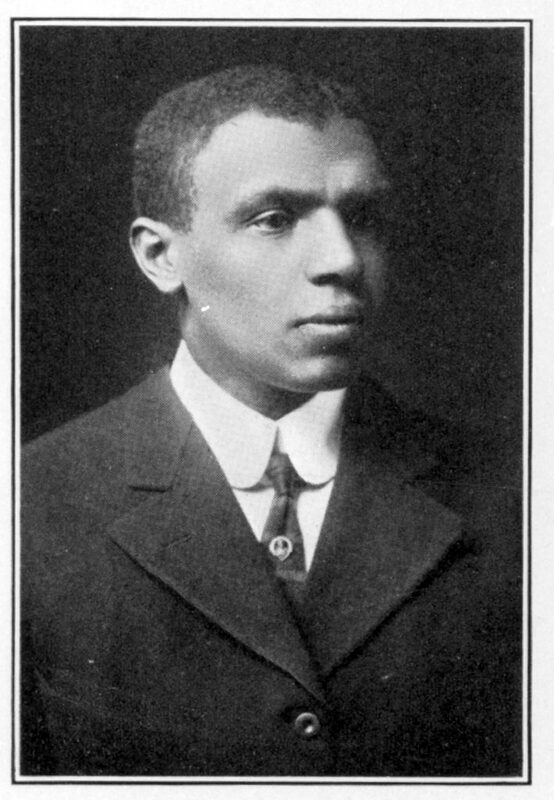 When the Olympics were held in England in July 1908, shortly after his graduation from Penn, Taylor had two chances for the gold. His first opportunity came when he participated in the 400-meter race, doing well even though he was ill at the time. Unfortunately, when the race was called because of a disputed foul, bitter controversy ensued between the Americans and British and the Americans boycotted the rerunning of this race. Despite this disappointment, Taylor did bring home the gold as a member of America’s 1600-meter (one mile) relay team; he and his teammates fellow Penn grad Nathaniel John Cartmell, W’08, Philadelphian Melvin Sheppard, and William F. Hamilton set a world record in this race. Two African Americans had earned medals at the 1904 Olympic games in St. Louis — Joe Stadler (from Cleveland) had won a silver medal in the standing high jump and George Poage (from the University of Wisconsin) had won two bronze medals for the 200-meter and 400-meter hurdles. But Taylor, in 1908, became the first African American to win Olympic gold.